I can’t believe that Halloween is officially over. The day after and I’ve already got a gazillion ideas for next year. Honestly, this Halloween was one of the best ever. We had a complete blast. My husband and I went as ketchup and mustard and Prentiss and Meredith’s witch and cat costumes were a huge hit. Halloween really is such a colorful whirlwind —from crafting costumes for the girls and decorating pumpkins to getting together treats for school parties and, of course, actually going door to door on the big night, there is always so much sugar-buzzed excitement. Now that the big day is over, we have a huge bowl of leftover candy… and I’m not completely sure why, but we have an abundance of Peppermint Patties this year. 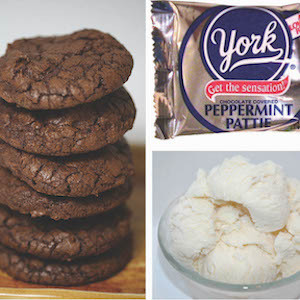 To have some post-Halloween fun, I adapted my Gingersnap Ice Cream Sandwiches in Katie Brown Entertains to put these plentiful and perfectly zingy peppermint patties to work. 2. Using a stand mixer or just good old-fashioned elbow grease, blend the ice cream until it is spreadable. 3. 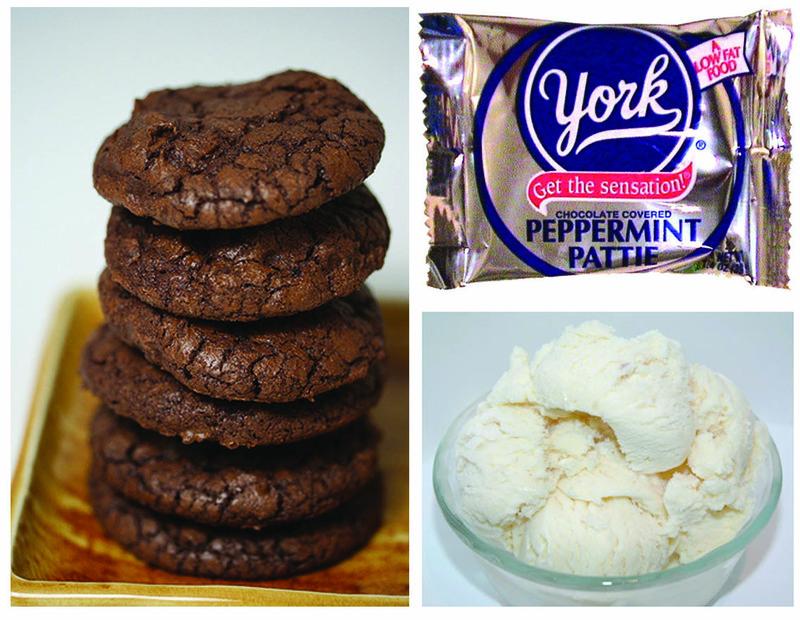 Plop some ice cream on each cookie and spread it out. 4. Put a cookie on top of each one, completing the sandwich. 5. Place in freezer to set for 30 minutes. While waiting, unwrap and break up the Peppermint Patties (your kids will be a great help with this!). 6. Take out the cookie sandwiches and roll the edges in the broken candy pieces. Hopefully everyone had a sweet and spooky Halloween.